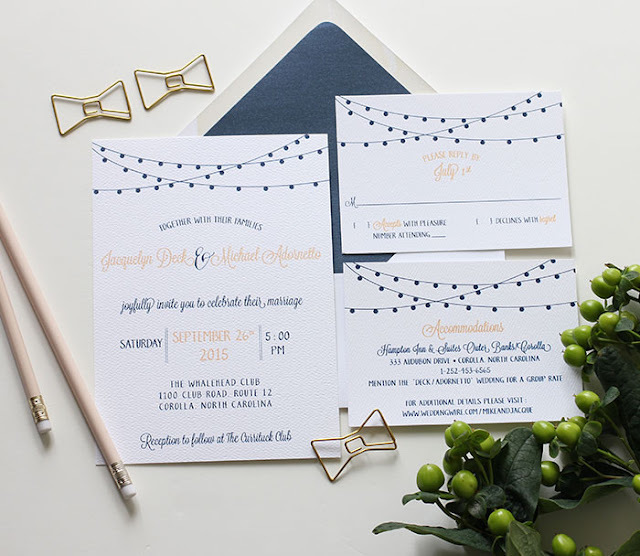 Our String of Light wedding invitation design is a perfect balance of charming & fun. 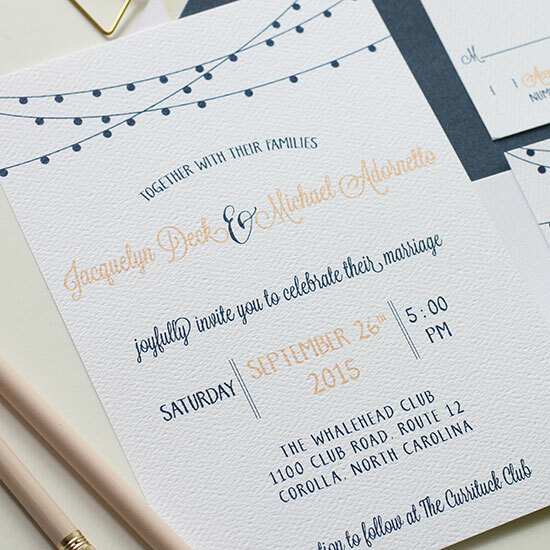 I especially love the design paired with light peach & navy printing. This combination is so classic and really lends itself to a romantic feel. 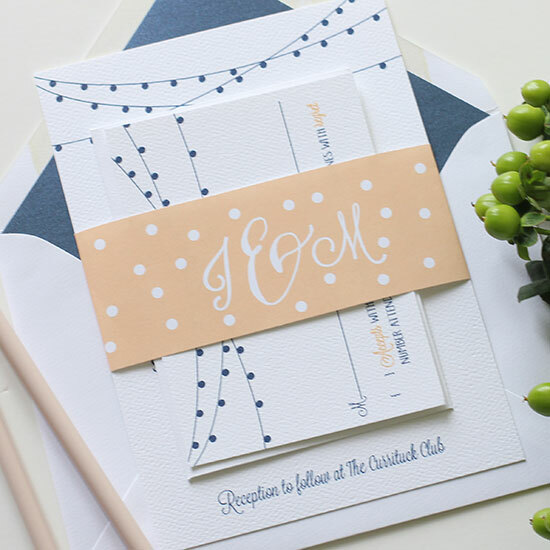 Whether you are getting married under the stars, in a rustic barn, or at a charming country club resort, our String of Lights wedding invitation suite is a perfect choice.